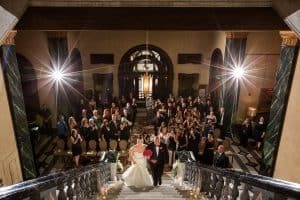 In this wedding venue spotlight, I want to highlight weddings and receptions at Glenmoor Country Club. 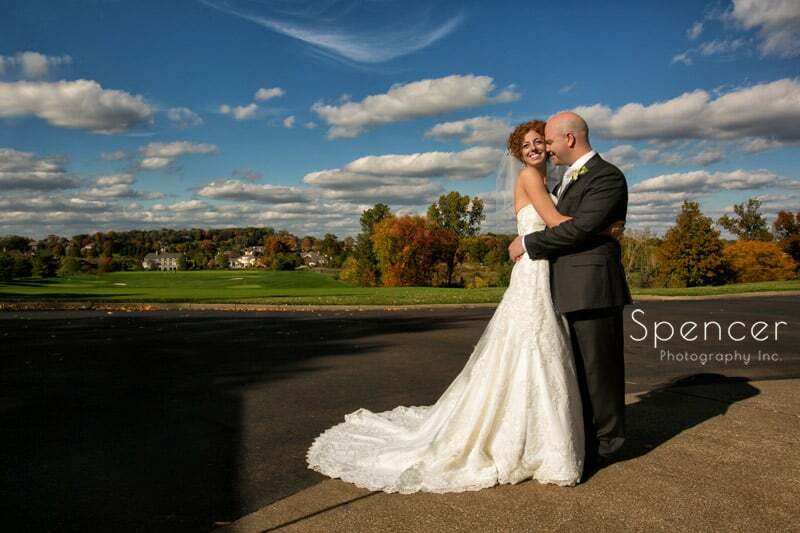 Located about an hour south of Cleveland and 20 minutes from Akron, Ohio, Glenmoor is situated for couples planning their wedding and reception in the Akron/Canton area. 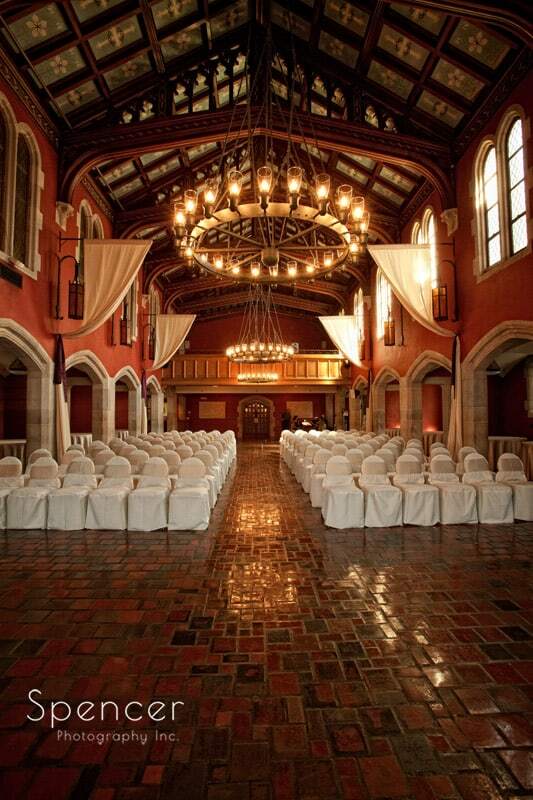 Originally built as a school/seminary, Glenmoor would have to be considered one of the most elegant wedding locations in the greater Akron/Canton Area. A Private Country Club, Glenmoor makes their grounds and space available for weddings days. There are suites that can be rented, and this is advisable. The convenience of being able to walk to your room after a night of partying at a reception cannot be understated. Oftentimes, my clients will use the locker rooms to get dressed. 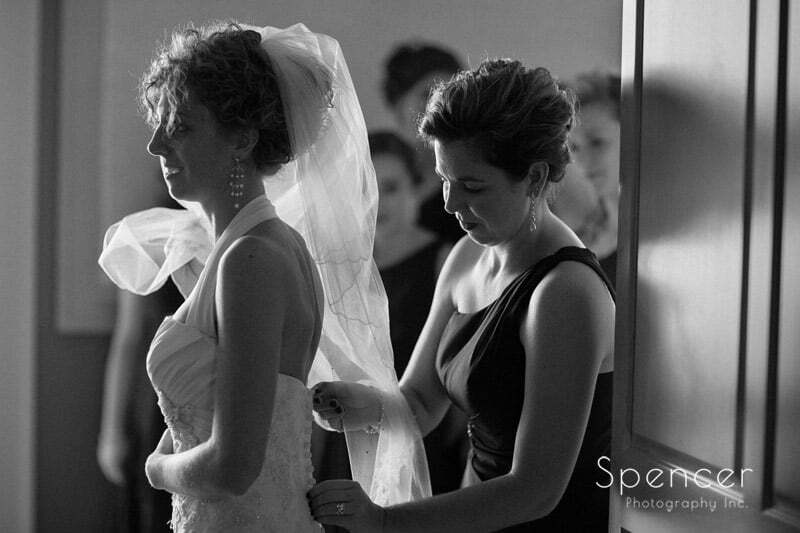 Now you might think “Get dressed for my wedding in a locker room? !” But the locker rooms in Glenmoor aren’t your average lockerooms. They are as nice as the rest of the facility and getting ready there is a great idea for a number of reasons. 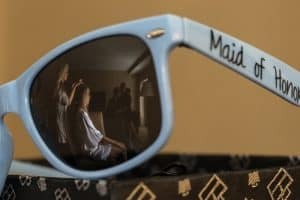 Mainly, convenience to you as the bride. The Chapel at Glenmoor is unmatched in it’s elegance. Typically, this is where your wedding ceremony will take place. 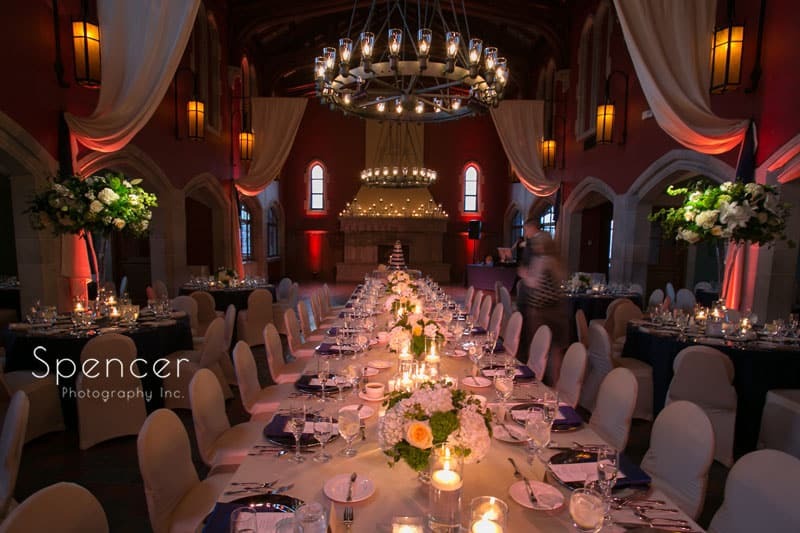 The beautiful vaulted ceiling, the archways that lead to the leaded glass windows, the chandeliers, all make for some gorgeous wedding ceremony pictures. The brick floor and dark wood create a mood, ambiance, and warmth that is wonderful to photograph. 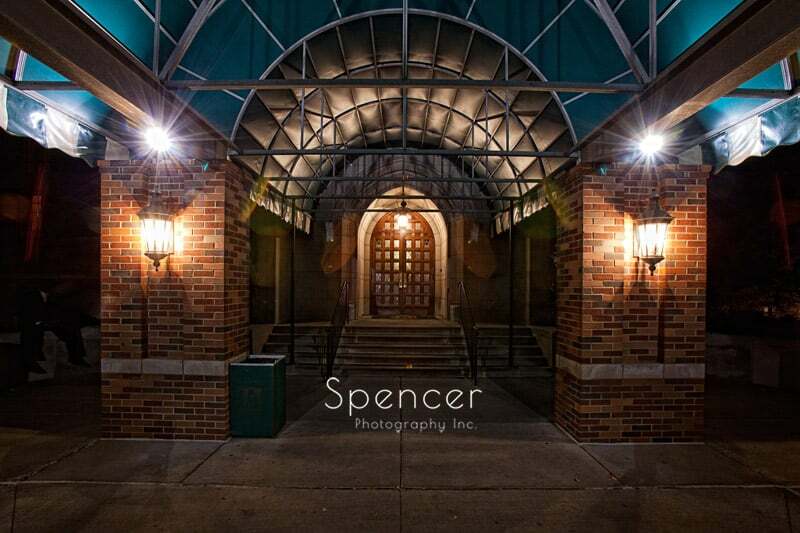 As beautiful as the interior is, the exterior space is great for outdoor wedding pictures. Surrounded by a golf course, the thing that I especially like about the outdoor area is the depth that I can get in my images. Long stretches of open space with a gaunlet of trees makes a beautiful backdrop for pictures, especially in autumn. Golf carts are sometimes provided so that you can explore the course for creative pictures. If you are having your wedding at Glenmoor, and you want to take full advantage of the grounds for wedding pictures, be sure to leave enough time in your wedding day timeline to allow you to spend time on the course and around the exterior. That is what makes having a wedding reception at Glenmoor so special. Nothing at all needs to be added to the room. Perhaps some uplighting to accent the arches or to highlight your table centerpieces, but that would be it. 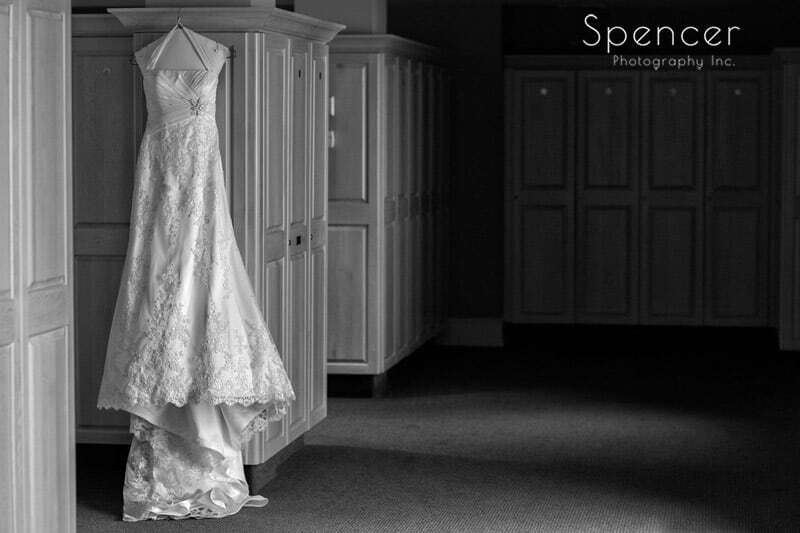 With separate rooms and hallways, the space allows you to be creative when planning your wedding. I’ve seen sketch artist, desert buffets and even the bar set up in the rooms. 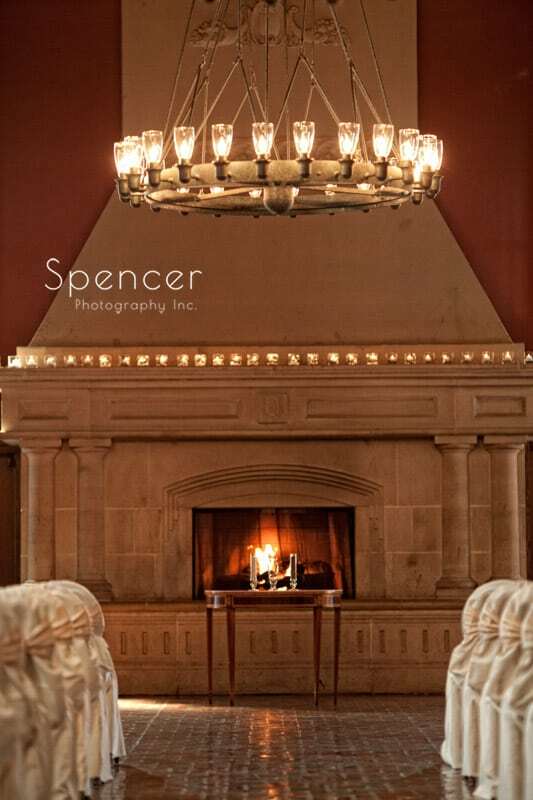 Having that ability to create some kind of special space for your reception is a nice touch in such a classic venue. If elegance, convenience and experience is what you are looking for in a wedding and reception venue, Glenmoor Country Club is definitely worth looking into. Hannah, Andrea, Stephanie and the entire staff will make sure that you day will be the best ever. 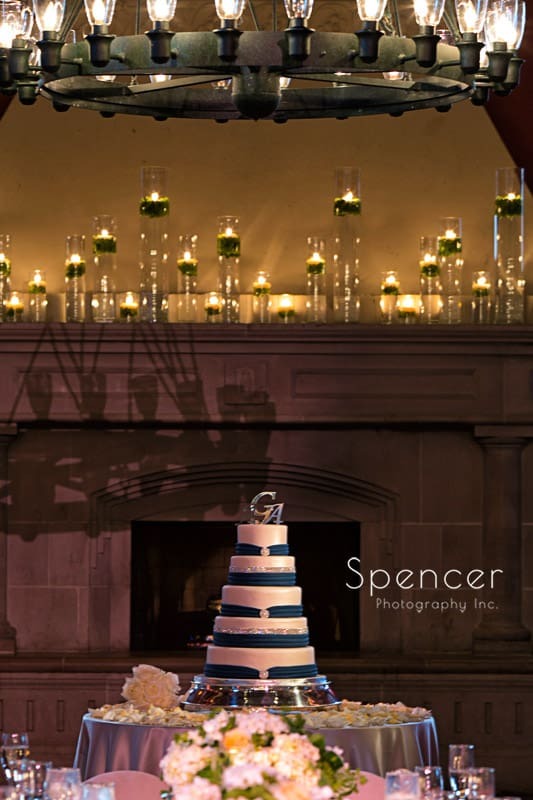 See more of our favorite wedding pictures from all around Cleveland and Akron.